Much excitement last week when the delivery man knocked on the door with a parcel for Joseph, some lovely boots from EMU Australia, that we received following my post about their fabulous get together in Manchester. Joseph's first proper pair of "ugg" boots. In Australia "ugg" is a term for sheepskin boots, it's only in recent years that it has become a brand. I always had them as a child and am so happy he has his first pair. Now I must confess that generally I consider "uggs" to be inside boots, like slippers, however they are waterproof and robust, and the quality of the sheepskin makes them very supportive. Joseph is hypermobile and needs good support. And let's face it, its flipping cold at present so the nice sheepskin keeps him warm and toasty! The children's boots retail at £80, which is somewhat of an investment, however with "ugg" style boots, I think its fine to order a size larger than the child's current size, as they are close fitting and there are no "mechanics" inside the boot to squish developing feet. I actually like plenty of room around the feet. In Australia and on the Continent its rare to find children's shoes in width fittings. Thank you so much EMU Australia, and next winter I will definitely purchase the shark boots for Joseph! *Disclaimer - we received a pair of children's boots from EMU Australia, all opinions are unbiased and my own. 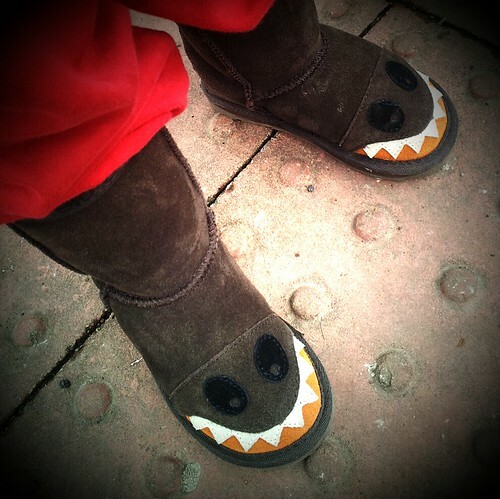 Love em, they look really cool and very very RAAWWWRRRR! Didn't recognise your blog for a minute! I've had the decorators in! 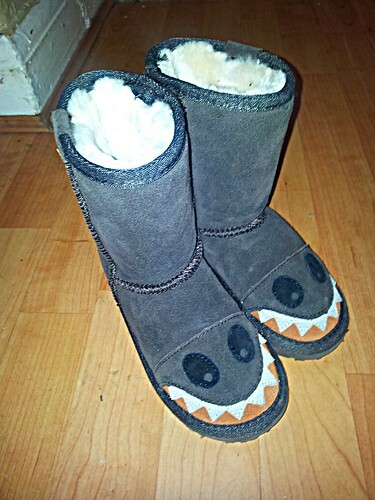 They are awesome, the kids boots are even better than the grown up ones I think!!! 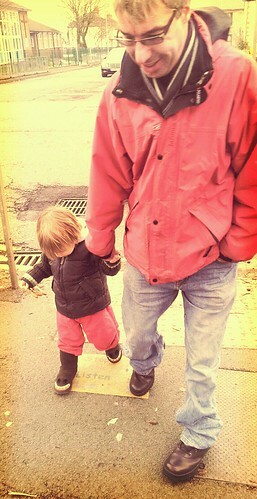 So happy with them, Joseph too a little while to get used to them, but now he adores them. His feet are so snuggly warm when he takes them off! They are so adorable! My nephew would love those.